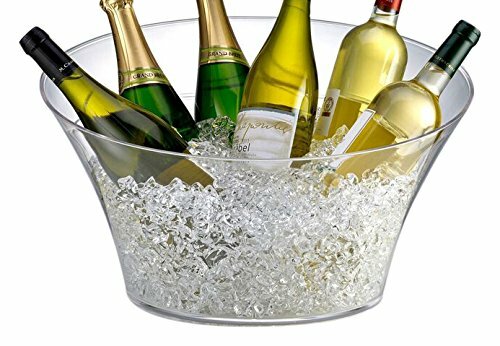 Entertain in Grand style with this impressive party tub. Beautifully designed with an elegant slopped rim which rises from front to back. Extra large Capacity holds lots of ice and up to 8 wine bottles or a 12 pack or more. Durable BPA free Styrene polymer.